Which Dysphagia Cookbook is Right for You? 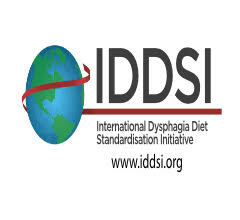 As a teacher and trainer of the National Dysphagia Diet, I am always looking for ways to help my clients eat better. My goal is to see people enjoy the foods and beverages that they can eat and drink. I like to stay up-to-date on research and publications, so I decided to take a look at some of the cookbooks that were written specifically for people who are living with swallowing disorders. “Soft Foods for Easier Eating Cookbook” by Sandra Woodruff, R.D. and Leah Gilbert-Henderson, Ph.D.
“The Dysphagia Cookbook” by Elayne Achilles, Ed.D. After reading each cookbook and testing recipes, I discovered that each is well written and insightful but with distinct specifics that are unique to each. “Soft Foods for Easier Eating Cookbook” by Sandra Woodruff, R.D. and Leah Gilbert-Henderson, Ph.D. This is my favorite book and is truly “A Complete Guide” to dysphagia management. The first 101 pages cover everything you need to know about stocking your pantry with food and kitchen equipment, thickening liquids, staying healthy, special considerations and more! If you can, take the time to read the first 101 pages, they are truly enlightening. The approximately 200 recipes follow the National Dysphagia Diet guidelines. The recipes are simple and easy to follow. These recipes were written with swallowing in mind but they would appeal to just about anyone. If you are cooking for a family and only one member has dysphagia, you could use these recipes and modify just one portion. Each recipe includes nutritional information and offers suggestions for substitutions and modifications. There are also great tips for menu planning. 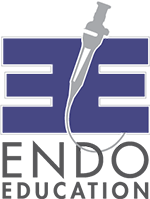 The last thirty pages lists support organizations as well as products, manufacturers and distributors of products that make life easier for living with swallowing problems. Since the writing of this book, there are some new, improved products and new suppliers who are not listed. “Down Easy: A cookbook for those with swallowing difficulties” by Judy Best. This book is especially helpful for someone recovering from cancer. The author, Judy Best, a graduate of a Le Cordon Bleu cooking school, was inspired to write this book as her husband was recovering from throat cancer. If you want to learn to eat again after you’ve been on a feeding tube, this book offers great tips. The recipes are simple, easy to follow, use whole foods and natural ingredients. Each recipe also has a complete nutritional breakdown and addresses whether it is gluten-free. This cookbook would appeal to someone who is transitioning to “regular” foods. 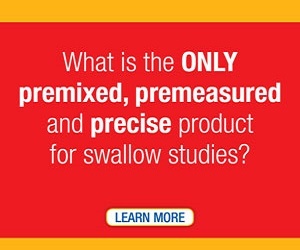 Because the author has assigned her own “Down Easy Swallowing Levels”, the recipes don’t follow the standards set by the National Dysphagia Diet. If you have been given a care-plan for the National Dysphagia Diet, it may be a bit confusing. The “Easy-to-Swallow, Easy-to-Chew Cookbook” by Donna L. Weihofen, R.D., M.S, JoAnne Robbins, Ph.D., CCC-SLP, and Paula A. Sullivan, M.S., CCC-SLP. Part one of the cookbook covers information about how we swallow, and gives tips for managing some of the conditions that occur with swallowing problems. Part two contains approximately 150 recipes that are simple to prepare and use everyday foods. These recipes will appeal to someone who enjoys the basic American diet. Each recipe includes a complete nutritional breakdown. This book is written for someone who is on a “Mechanical Soft” diet or who just needs foods that are easy to chew. It doesn’t completely address purees and how to modify each recipe for a “Puree” diet. Written about the same time the National Dysphagia Diet was developed, it does not use the same terminology. This book was published in 2002, so it can be a bit hard to find. “The Dysphagia Cookbook” by Elayne Achilles, Ed.D. In this cookbook, most of the recipes are written for someone who can eat soft foods. The author offers good advice on how to stock your refrigerator and pantry with foods that are easy to prepare and eat. The book also offers tips for traveling and eating out. The approximately 150 recipes will appeal to a wide variety of people. The recipes do not use the standards set by the National Dysphagia Diet, so you may need to read carefully and adjust the final dish. This book does not include nutritional breakdowns of the recipes. As I read through and tested the recipes in each of these cookbooks I came to realize that each is a “labor of love” for the author. If you purchase any of these books, I encourage you to read the forewords and acknowledgements as you will find something of value in each. Dear Readers: If you have a favorite recipe you’d like to share with the NFOSD community, please submit via email to info@nfosd.com.